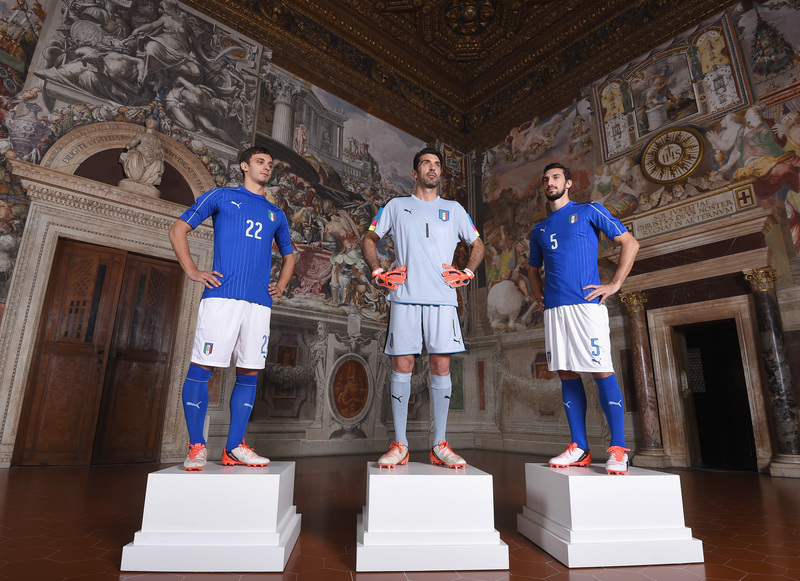 PUMA and the Italian national team have released the New PUMA Euro 2016 Italy Home Kit at an event in Florence, in time for its debut on pitch on Friday when ‘Gil Azzurri’ play Belgium in a Friendly game. PUMA has designed the new Euro 2016 kit with rich attention to detail, keeping the pride, passion and tradition of Italian football as its guiding inspiration. 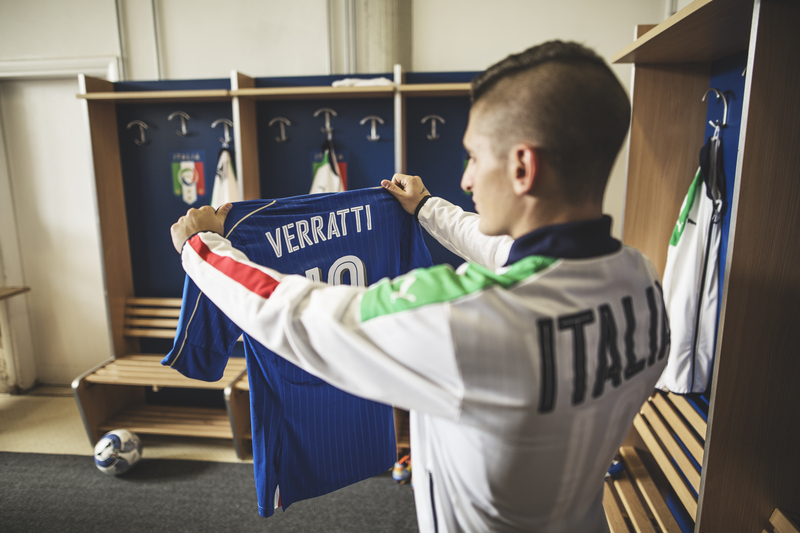 The Italy 2016 Euro Kit has a high crew neck collar, and thin embossed vertical stripes along the front. In addition, the kit includes stripe mesh inserts along the shoulders, high sleeve cuffs, golden sleeve pipping and the side vent ‘tricolour’ flag detail on the left and right of the hem. The Italy Euro 2016 home shirt is combined with traditional white shorts and blue socks that also feature subtle golden details. The new 2016 Italy Euro Kit features PUMA’s new apparel technology ACTV Thermo-R, strategically inserted in both the front and the back of the shirt to help players maintain an optimum body temperature. A unique phase-change material is injected into the 2016 Euro Italy kit’s inner athletic tape which allows microcapsules to absorb excess heat and release it back to the body when needed. The Italy Euro 2016 Home Kit is available for purchase on Puma official website and on all global sports retailers from 10th November onwards. Simply Magnificent. Pure class. Let us know your thoughts on the new Italy 2016 Euro Kit on twitter.